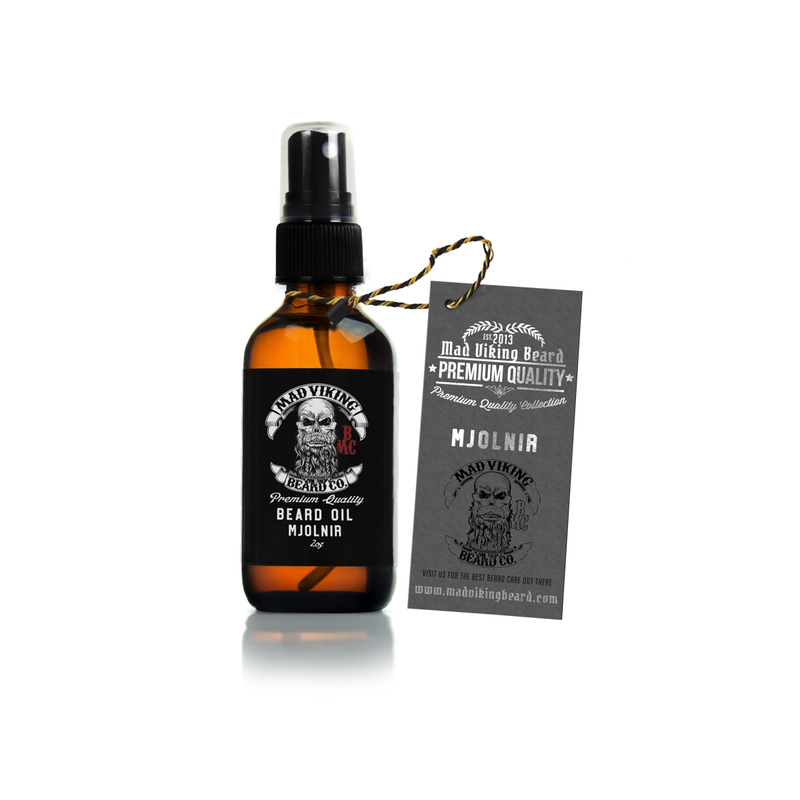 Mjolnir Beard Oil & Balm Combo 2oz - Mad Viking Beard Co.
[myawl-nir]: Thor’s Hammer. Thor is the God of many things, including thunder, lightning, storms, oak trees, and above all the protection of humans. As such he was given a gift from Loki, a hammer called Mjolnir, the most powerful weapon in the universe. It was capable of leveling mountains with a single blow. 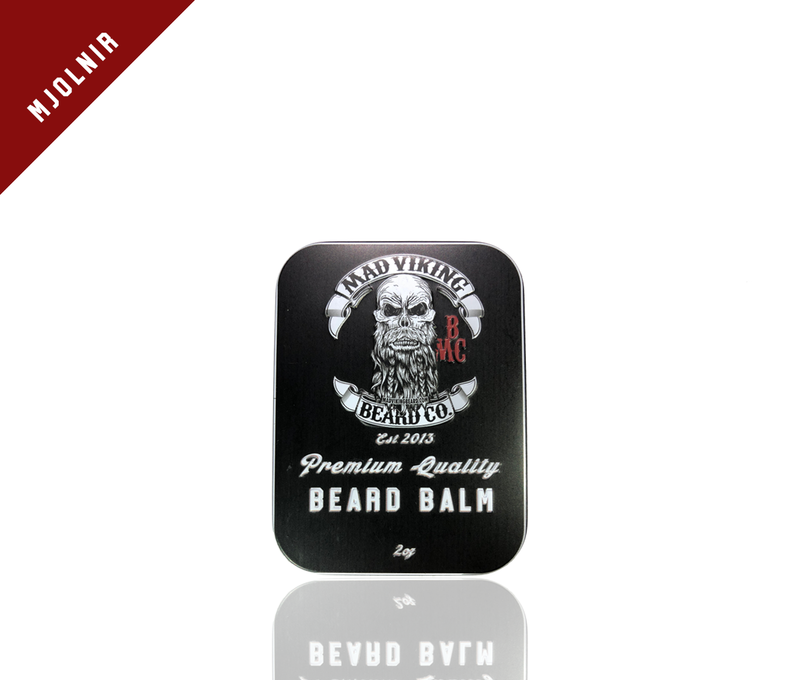 Likewise, Mjolnir scented oil and balm is the most powerful beard combo in the universe. We have crushed in the scent of Peppermint, Cedarwood and Sandalwood to create one of the most popular scents on the market. It applies with a mild dose of Peppermint to cool the skin as it invigorates your senses, fading into smooth, woodsy after tones that last well into the day. 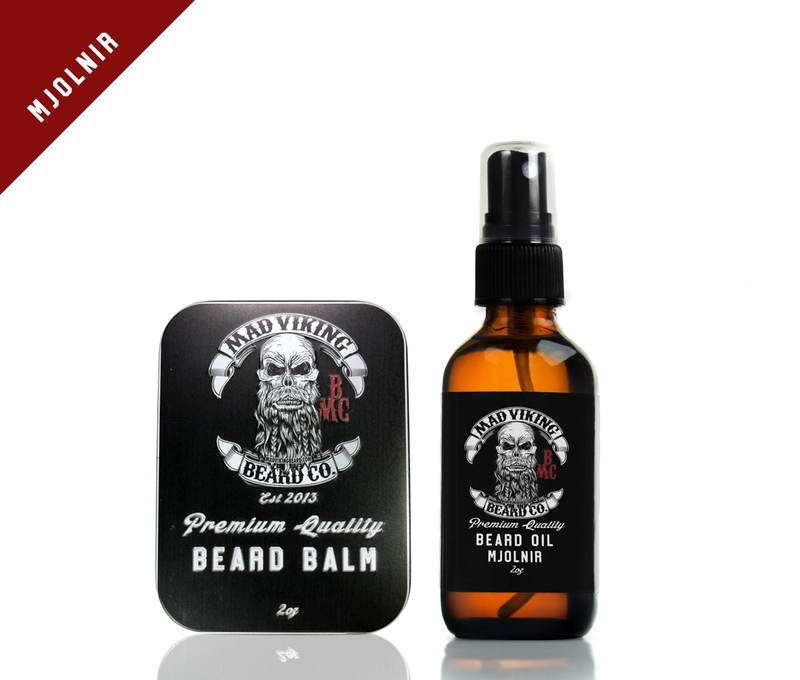 Upgrade to the starter pack and get a beard wash with your order!